It’s easy to get to Ko Lanta – the island is accessible by speedboat, minivan and ferry. Choose which option suits you best. Ko Lanta is located in Krabi province in the south of Thailand. There is no airport on the island itself – the nearest airport is Krabi Airport. 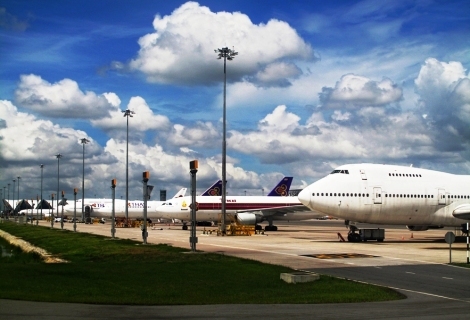 There are connections from Phuket Airport and Trang Airport too, although the travel times will be considerably longer. To compare flight prices and times, check Skyscanner – this site finds the cheapest flights between multiple airlines on your chosen dates. The Express Transfer combines a minivan and speedboat from Krabi Airport to Ko Lanta. It’s the fastest way to Ko Lanta. The minivan driver meets you in Arrivals at Krabi Airport, takes you to the air-conditioned minivan and drives you to the private speedboat pier. You then enjoy a scenic 15 minute speedboat ride to Ko Lanta. This lets you bypass the queues for the car ferry. When the speedboat arrives at Ko Lanta, a pick-up truck is waiting to transfer you from the pier to your Ko Lanta hotel. If your hotel is located on one of the northern beaches, typical transfer time is 90 minutes or less door to door. If your hotel is on one of the southern beaches, typical transfer time is 2 hours or less door to door. Book your Krabi Airport to Ko Lanta Express Transfer online. You can also book Phuket Airport to Ko Lanta and Trang Airport to Ko Lanta Express Transfers – please note Krabi Airport is much nearer to Ko Lanta than either Phuket or Trang so it will probably be more convenient for you to arrive at Krabi. Follow the links for more details. For more information on getting from Phuket to Ko Lanta, please see our Phuket to Ko Lanta page detailing all the options. Before you book your transfer, you’ll need to know which hotel you’re staying at. See Where To Stay On Ko Lanta if you need ideas about accommodation. The Private Minivan Transfer is your own air-conditioned minivan from Krabi Airport to Ko Lanta. The minivan is only for you, your friends and family. The price is a flat 3000 Baht fee for the minivan. You can have up to six people in your group in one minivan. If your group is less than 6 people, the price is still 3000 Baht. Therefore the Private Minivan Transfer is ideal for groups of three or more. If you are a single traveller or a couple, you may as well get the Express Transfer. 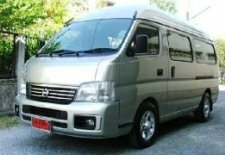 Book your Krabi Airport to Ko Lanta Private Minivan Transfer online. There are numerous daily ferries to Ko Lanta. This can a fun journey crossing Phang Nga Bay typically taking several hours. Be advised: Thai ferries run on “Thai time” – punctuality is not their strong point. You can also get a Krabi Airport to Ko Phi Phi ferry combination minivan and ferry ticket. Ko Phi Phi is only one hour away from Ko Lanta, so you could check out Ko Phi Phi, stay for a few nights, and then move on to Lanta afterwards. There are numerous other ferries running to Ko Lanta: see this comprehensive ferry list. Public Minivans to Ko Lanta are available at Krabi Airport. You can buy a ticket on arrival in the Arrivals area. The minivan waits until it has enough individual passengers to fill the van before departing. If you are travelling with large luggage or children, the public minivan is not recommended – it can be very cramped and hot. The public minivan uses the car ferry and bridge to get to Ko Lanta, and then drops guests off at each hotel, which can be a long process if your hotel is in the south of Ko Lanta. You can also get a bus from Bangkok to Koh Lanta – see times and prices on 12Go, where you can also book your ticket online. It’s a combination bus and ferry ticket. The journey is typically overnight and takes 12 to 15 hours. If you feel confident about driving on Thailand’s roads you can book a car online to be waiting for pickup at Krabi Airport. See Ko Lanta Car Hire for more details. Don’t forget you will need to have a valid International Driver’s License to drive in Thailand – you’ll to apply for that in your home country before you arrive in Thailand. Contact your local motoring association for more details.